My monthly sewing contribution to Little House Living is this gathering apron. What's a gathering apron? I had the same question when I was asked to design one. Basically it's an apron you wear out in the garden to allow you to collect produce. 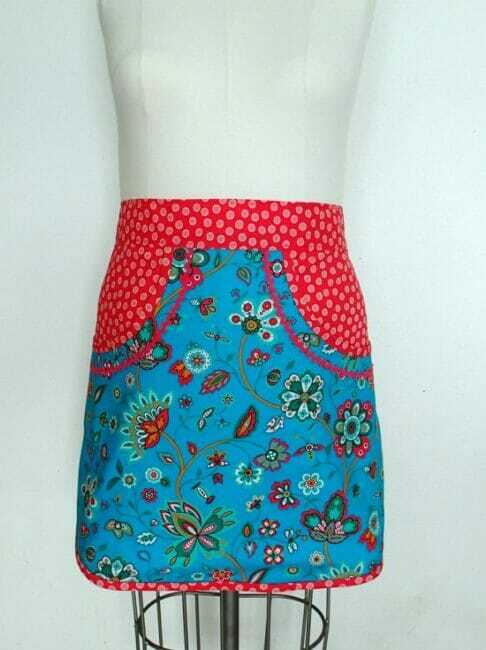 This one keeps your hands free because the whole apron it one big pocket, so you can pick and carry your fruit and veg. Great for putting the washing out too because you can keep your pegs/clothes pins in the big pocket for easy access. Find the free gathering apron pattern over at Little House Living. Thank you to Penelope for being my model. Love this style! Thank you!! Nice choice of fabric. Very pretty. Thanks for sharing this Debi.